Medicine tourism and a thriving tourist industry are the highlights of Scottsdale’s economy. But what about its rich history and unique geography and demography? Explore these and more at this amazing city, The West’s Most Western city/town. During the Great Depression in the 1930s, many artists and cultural experts came to settle in Scottsdale and contributed to its rich cultural heritage. An advanced technologies industry was born during the 1940s when the Scottsdale Chamber of Commerce was conceived. Modern Scottsdale has many attractions which can be traced to the 1950s such as the Parada del Sol festival and the Arabian horse shows. Scottsdale’s population has risen 6 fold since this city was incorporated; it now has a thriving tourism industry and attracts close to 6 million visitors on an annual basis. Scottsdale Airpark surrounding the airport attracts a vast number of businesses from auto to manufacturing-Scottsdale is one of the 100 largest cities in the United States. The town was named after Scott and formed by Albert G.Utley who named the city Orangedale. In 1903, Scott was appointed chancellor at the Tempe Normal School of Arizona currently ASU. It was 1951 when the town of Scottsdale was incorporated and its first mayor was Malcolm White; in 1962, the town passed a city charter and became Scottsdale City. Scottsdale was one of the first cities to have a generalized plan; in the last year of the 1960s, Scottsdale Historical Society was formed. During 1974, Scottsdale Symphony was firmed with I.Fleming as the director. Scottsdale is located in Salt River Valley. Another name for this is the Valley of the Sun and it is located within the Sonoran Desert. Scottsdale has Phoenix, Paradise Valley and Maricopa County as its borders. Scottsdale has Tempe to its Southern border and a national forest on the northern. US Census Bureau has estimated the total area of the city to be 478 square kilometer land and 0.52 square kilometer water. City is divided into 4 areas namely South, Old Town, Central also called the Shea Corridor because it extends from Shea Boulevard) and North. Scottsdale is home to 250,000 people belonging to different ethnicities such as Latin American, Pacific Islanders, Native Americans and African Americans. Trendy hotels, plush restaurants, chic art galleries and elegant luxury stores make Scottsdale a premier employer. Massive number of employees (65,000) can be found within the metropolitan area of Phoenix. Some of the popular companies with HQ in Scottsdale include Fender, Dial, Go Daddy, Kahala, Taser and more. 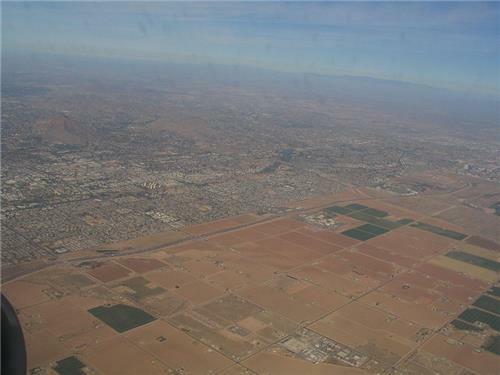 This is the sixth largest city in Arizona state with a population of 250-200,000. Lots of movies have been filmed in Scottsdale including Wayne’s World and Raising Arizona. Scottsdale has 6 sister cities in Alamos, Cairns, Haikou, Marrakech, Ontario and Uasin Gishu.